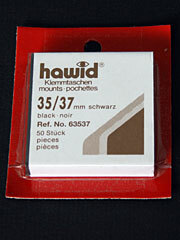 We stock a large range of Hawid Stamp Mounts, which are also used for protecting many items for collectors. This page displays dark (black) backs and a clear face, mostly split along 3 sides (sealed at the bottom) and are gummed ready for sticking onto pages. 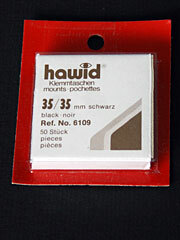 Hawid Mounts, Blocks, Strips and Cut to Size with black backs are a safe and secure way to display and protect the investment in your collection. 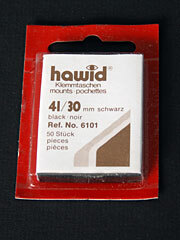 Black Backs (Below) or Clear Backs. 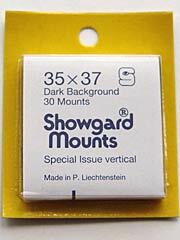 Clearface, black backs, Cut to Size Mounts for Horizontal Commemoratives from 1970. 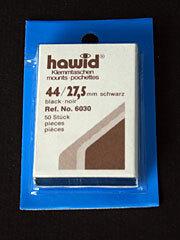 Clearface, black backs, sealed along the top and bottom, Blocks of Mounts to be used intact or cut to size. 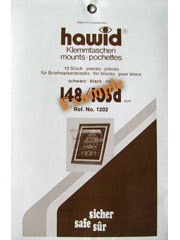 Large Blocks, 1988,89,90 Mini Sheet Issues etc. 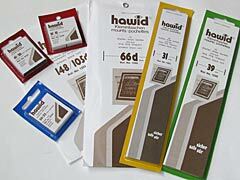 Large Blocks, Mini Sheet Issues etc. 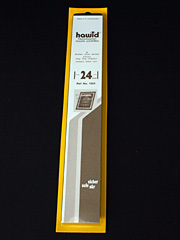 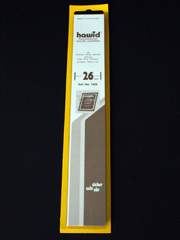 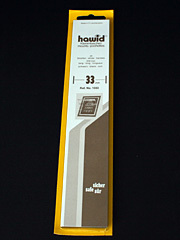 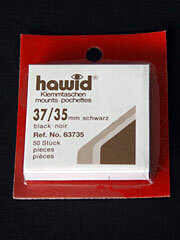 Pack of 350 Hawid stamp mounts, in 7 different sizes especially for GB stamps. 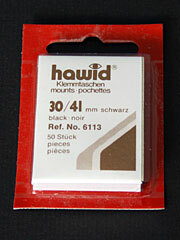 Black self adhesive backs with clear face covers, all in a handy storage tray pack. 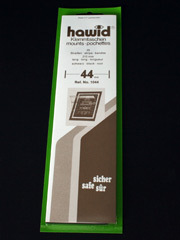 This makes an ideal gift or a quick restock of the popular sizes. 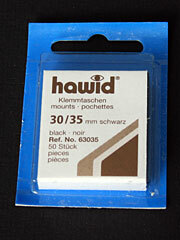 Assortment pack comprising 65 hawid black back strips, in 13 different sizes, supplied in a plastic storage tray. suitable for various stamps the strips range from 24mm to 55mm high, these strips are 210mm long. 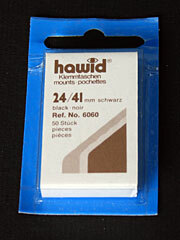 Clearface, black backs, sealed along the bottom, Strips of Mounts to be cut to size. 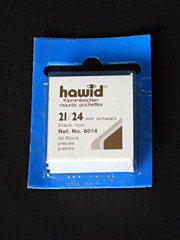 GB Machin High Value Stamps. GB Commemorative Stamp Issues etc. 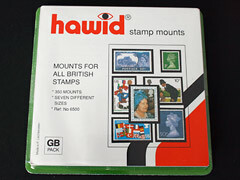 GB Blocks of 4 Stamp Issues. 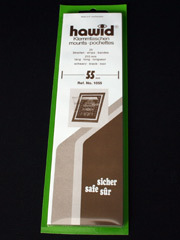 Blocks of 4 Stamp Issues. 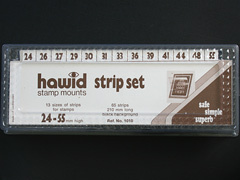 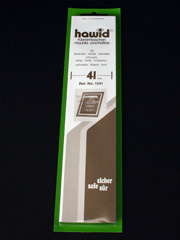 Hawid Stamp Mounts for Definitive stamps and Commemorative stamps, available in cut to size, ready to use and in different width strips for you to cut to the required size. Also available is a range of Hawid larger block sizes that can be used for miniature sheets, Blocks of 4 stamps, First Day Covers and other philatelic items and ephemera. 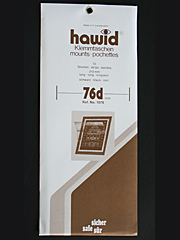 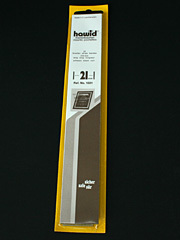 Hawid Protectors, a safe and professional way to display your collection. 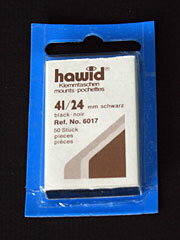 We also supply the range of Hawid stamp mounts with clear backs, please use our printable order form to order these.